Since 2005, French Regions have been at the center of a growing, international process of regional branding. Regional branding consists of giving your region a specific brand, an identity that can easily travel across the world. Branding a product or service is very similar to branding a region or town. The point is to give your products a competitive advantage and to attract more consumers (or tourists). The main difference in regional branding is the number of people involved in the process and the people benefiting from the financial results of the branding. Indeed, regional branding will often help local products by regrouping them under a common denomination or image that will help consumers link the product to a specific set of values, social groups and experience. This is used in a minor way in the wine industry, when one regional denomination helps the consumer to understand what he is buying (Champaign from the Champagne region for example). It will help in promoting a wider range of products and services by regrouping them under the same banner: promotion for a regional brand will at the same time promote all the products using that brand. Therefore, the cash flow that results from the marketing strategy will be, at first, benefiting small local producers and service providers whose sales will have been boosted by the extra amount of awareness to the brands existence. On the long term, the point of regional branding is much more complex. First of all it will help boost tourism and all the activities linked to tourism. Secondly it will help local producers and service providers when trying to penetrate new markets as it will provide them with a real strength in the sales process. And last but definitely not least, it will attract investors to the region who will considerably help in increasing the regions economic influence and power as well as generate good amounts of tax revenues for the local authorities (helping in the social development of the region). To show how it is used, we have selected 3 of France’s pioneer regions in regional branding. Our first example is the town of Lyon in France (not far from the Swiss and Italian borders) who started the ONLYLYON brand. This town is known in France as one of the main student towns but also has a very rich tourist industry thanks to amazing views and typical French countryside. Its goal is online development of the brand’s image (and town image) through the development of tools and techniques, the development of phone applications, the use of functionalities linked to geographic positioning (GPS). The use of these new technologies should enable Lyon to be a more attractive town for young people and young tourists. The second example is the region of Ile de France (the Paris region) who has come up with their brand “SAVEURS Paris Ile de France”. During the famous Salon International de l’Agriculture (international meeting for agriculture), the brand was displayed along with the different food products linked to it. According to the organizers, 26 companies in Ile de France have agreed to be part of this project and 5 more are thinking of signing on. Our last example is the region of Brittany with the brand Bretagne. This region starting thinking about the process of regional branding in 2007 when it started an in-depth analysis of its economic positioning the conclusion of which was: “Brittany has not got a bad economic and technological image, it does not have any.” From December 2008 to July 2009, a wide study on Brittany’s identity done on how the inhabitants perceived the region’s image. This study was to help the region find the personality and the traits that differentiate this region from the others (to find its competitive advantage). The resulting conclusion was that the region needed to unite its economic actors under one brand in order to give each one (and by extension, the region) more power on the market. 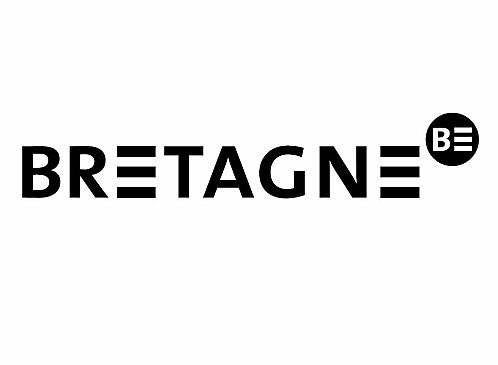 The Bretagne brand, its visual code and the tools that help companies use it have been put on as specific website dedicated to the brand. 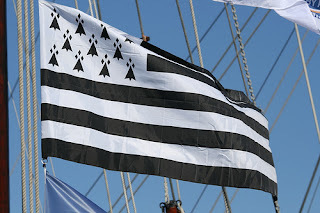 The logo, through its elegance, simplicity and resemblance to the Brittany flag, helps create an immediate link to the country as well as a lasting memory of the brand in the consumers mind. The use of black and white helps as well in this process and in modernizing the brand.